We began our 2 week long Farm unit this week. It was a busy week though because...Jack Hartmann came! Boy was he fun! And, that's another post, but we squeezed in what we could. Below is pictures of what we did mainly during centers. I'll post the rest of our farm fun next week! 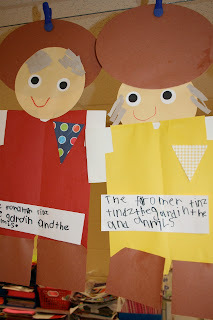 Spin it Sight Words...I got this GREAT idea from Mrs. Morrow...the kids LOVED it. 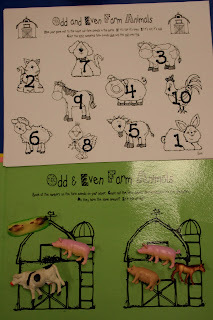 Vowel Barn sorting...okay, found these cute barns at Target a couple of years ago. This speckled cow game is counting to 30! 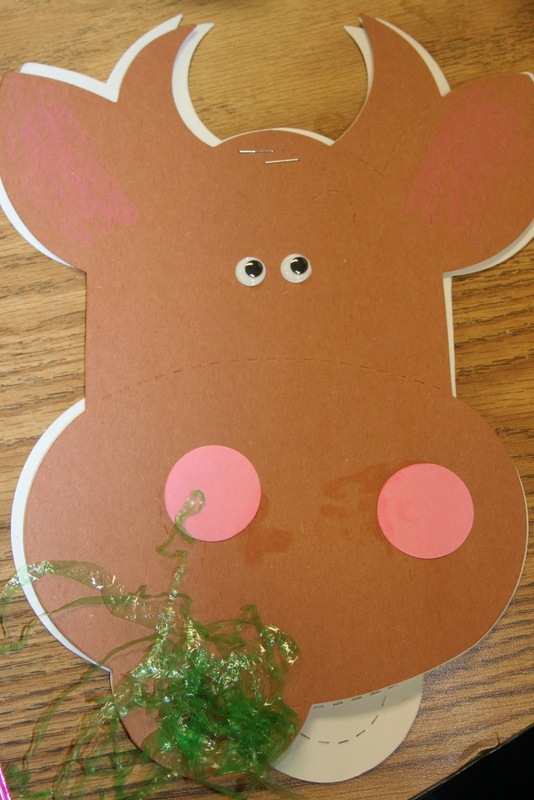 Our Cow fact book...this little moo cow has three pages with a fact on each page. Check back next week for more Farm Fun! FUN! FUN! FUN! Your centers this week look like so much fun! I would love a copy! I would love a copy of all these centers too. Will they be available? Great centers, I would also really love copies. These are fantastic. May I have a copy too, please? These are so cute!!! I would love a copy of these :) I will be doing a farm unit in a few weeks. Thanks! Fantastic!! I don't do a farm unit, but I did when I taught first grade. I love all of your ideas! I would LOVE a copy of your centers!!!! I love them. If you would send them to me my email is jfutch@long.k12.ga.us. Thanks so much for all your great ideas! Yes, I love the centers! They looks so fun. I would love a copy. You have such great ideas!! I think you should post your unit on TPT. I would buy one, it is wonderful! 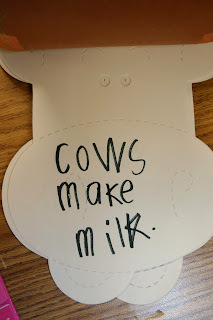 I do a farm unit with my kindergarteners in the Fall, and I would love to have any copies you would be willing to share! Your centers are so cute and creative! I LOVE them! I would really love copies of your centers. They are so cool and simple for the kids to do. Youre center ideas are great! I look forward to seeing what you do next everytime. I would again love copies. Thank you for taking the time to share with all of us! I hope to one day have all your center collection! I love your centers-so cute!! :O) I would love a copy! Also I would have loved meeting jack~ ohmydiggly!!! ;0) too fun!!! I am doing a farm theme in May. Do you have a TPT store? I would love to purchase these center ideas from you! I'm doing a farm unit after next week. I love your centers! I would love copies too! We will start our farm unit in a couple of weeks and I would would a copy of your centers also!!! I love all your ideas! Thanks so much for sharing. Yes! Yes! Yes! I am back checking your blog for wonderful ideas. Please send me a copy of your farm centers. Thank you! aosterman@ofsd.k12.wi.us Can you beleive that some kindergarten teachers do not use themematic units in their classroom? Crazy! We start our farm stuff in a few weeks and I would love a copy of your center stuff, etc. Thanks!! Thanks a bunch as always!!! 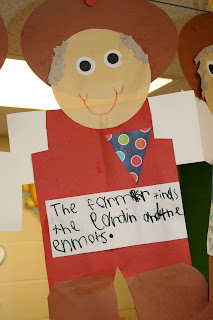 I love all your center activities!I would love a copy of your farm unit ones! Thank you soooo much! I LOVE your center activities!!! I am starting my Farm unit in 2 weeks. I would love a copy of your farm center stuff!! I would also love a copy of your unit as well. Thanks again for your willingness to share! Not sure if my first comment went through. So here goes again. Once again, I am with the other 80 teachers who love your stuff!! Can I please have a copy :) You are so sweet to share! Just made a small donation to your Donar's choice and will gladly make another!! I would also love copies! Wow! Your unit looks amazing! I am with all the rest, would love to have a copy! This unit is so great!!! If you are sharing, I would love a copy. My email is melanievictoria@yahoo.com. Thanks! I would love a copy too if your sharing! You have such great ideas! I would love a copy of your farm centers...they are awesome! These would be great for our upcoming unit. Could I also have a copy to share with our group? Thank You! Forgot to mention that I have been using your odd/even butterflies this week. I hot glued a few pom-poms together for caterpillars. The kids love it! I would love a copy of your farm centers! I love your blog, I get many ideas from you! Thank you so much for sharing! I would really love to have a copy of your farm unit. If there is any way to get a copy of the gingerbread unit as well. That would be great. I would like to get started on this for the beginning of the year. The kids are really loving the spring unit. Thank you so much! Julie~ Thanks so much for sharing. My kiddos are working on finishing up a farm unit right now!! I would love a copy of your centers. They look AWESOME!! I forgot to give you my email. I start my farm unit in a couple weeks....MAY i please have a copy of these wonderful ideas...THey are amazaing..and my kids will love them... Thanks darci. Can I have the files as well? YOUR AMAZZZING...have I told you that?!? Thank you for sharing your wonderful ideas! Can I please get a copy of your centers? We go on a field trip to a farm in May and these would be great to tie it all together. Please send me a copy. Thanks for sharing your ideas. They brighten my classroom! I would love a copy of your fabulous centers! Your posts and creativity are wonderful! I would love to also get some of your center ideas if at all possible. I LOVE them...ALL of them are so cute! i am doing a farm unit in two weeks...these look so great. I love all your stuff!! I would love a copy when you send it out. I love the farm theme for kinder! Would you mind sending me your farm stuff? I love your farm unit. We will be doing a farm unit next week. Would you send me a copy? I love your themes...I would love a copy of this unit!! Thanks for always sharing your ideas!!! We are very fortunate to have amazing creators!! I am teaching my first year of Kindergarten and looking for some great ideas and I think I've found the right place! Can I please have a copy of the farm unit? I love love love it! I love to a copy of your farm unit the first and second part. I would love to donate to your donors choice in honor of your wonderful Blog SPOT!! Thank you so much for sharing. I would love a copy of your farm unit, part 1 and part 2. The unit is awesome! Thanks for sharing! All of your farm centers are terrific. I would love a copy. I really appreciate you sharing your ideas. You are very inspiring. 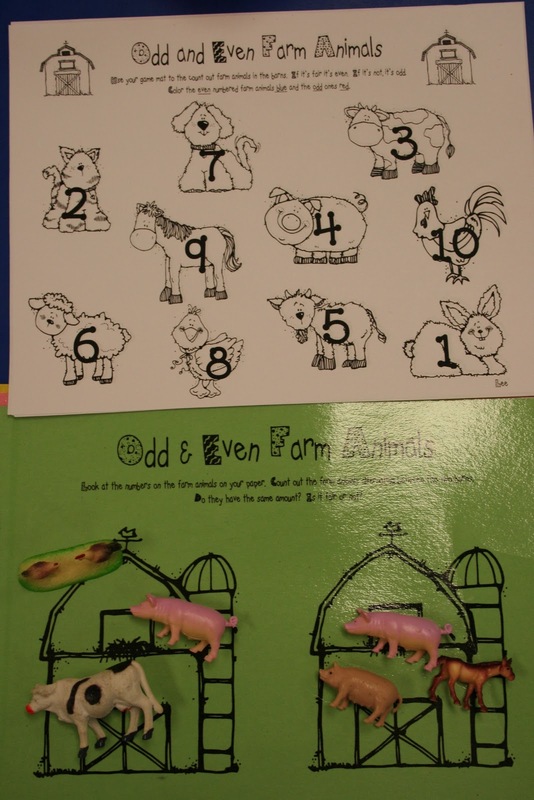 Would also love copies of these WONDERFUL farm activities...just in time for my farm theme! Thanks so much for sharing. What DJ Inkers programs do you have? I have been looking them over and I'm not sure which one to start with. Also, if you're sending the printables out I would love a copy. Thanks! I LOVE this farm unit! Would love copies of these wonderful activities!! So cute. I am starting a farm unit next week. Just like everyone else I would love a copy if you are able to share! Love this unit. I would love to have copies if available! Our farm unit is next week. If you're sharing, our k team would love to have your awesome printables! tedbiskin@yahoo.com Thanks! I am doing a farm unit next and have been searching and by far these are the best centers and activites. Could you send copies or is this somewhere I could purchase-would love to have them. thanks for all your wonderful ideas. Is there anyway I could ever get some of the farm pages you designed? Such neat ideas! Thanks! I am thinking about you and your whole state! Prayers sent your way! I love your idea! I am doing my farm unit next week and I would love any printables that you are willing to share. I would just love a copy of your farm unit! I live on the island of Mauritius and I would love a copy of these ideas. Could you email them to me on sharnawyness@gmail.com thanks so much!! I would also love a copy of your farm unit! It looks fabulous! Let me know if it is available! I would really love to get a copy of your center. You have some great ideas! I am loving all of these ideas! Where or how could I get copies of these great centers and writing activities. I love This Farm unit....Not sure how this works, but would LOVE a copy. Love your farm unit. Any way to get a copy? I LOVE this unit and are doing a farm unit in a few weeks. All the centers you have created are wonderful. Is there anyway to get a copy of these great centers? Just purchased the faces of the Farm and can't wait to use it. Thanks so much for sharing your ideas. Hi Julie! I searched TpT and did not see a copy of this farm unit. Would it be possible to get a copy? It looks so cute! I would love to purchase your unit as well!! LOVE it all!!! Is it available on TPT? My e-mail is ndougherty65@gmail.com Thanks so much!